With a team of fifteen people ATR Transmissies is one of the major companies in the Netherlands that specialize in rebuilding automatic gearboxes. 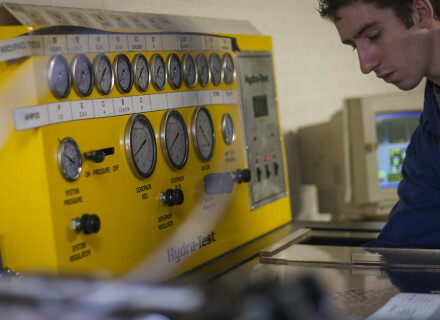 We pride ourselves in providing a complete solution using our own materials and performing extensive research to continuously improve the quality of our overhauls. Knowledge acquired from years of research is now applied to even manufacture some parts ourselves. We keep a critical eye on materials used and we maintain strict tolerances. Thanks to our focus on development and innovation we often deliver gearboxes, torque converters and valve bodies in better-than-new shape. Overhaul, diagnosis, and maintenance of gearboxes, torque converters and valve bodies!